I think it was unfortunate in a way that we came to Cambodia from Thailand. Our four days in Bangkok had made us so sick of Thai food (how it smells!) that we had decided that we hated all South East Asian food. I had decided that, for all my supposed enthusiasm about traveling and seeing new cultures and what not, food was definitely not something I was willing to experiment with. And so we stuck to very conservative things for the first couple of days in Siem Reap - we even ate at KFC one night! Which was pretty stupid of us, actually. Khmer food, it turns out, is much tastier than Thai food. Not only that, Siem Reap is much better than Bangkok when it comes to food - because it's a tourist town, after all. 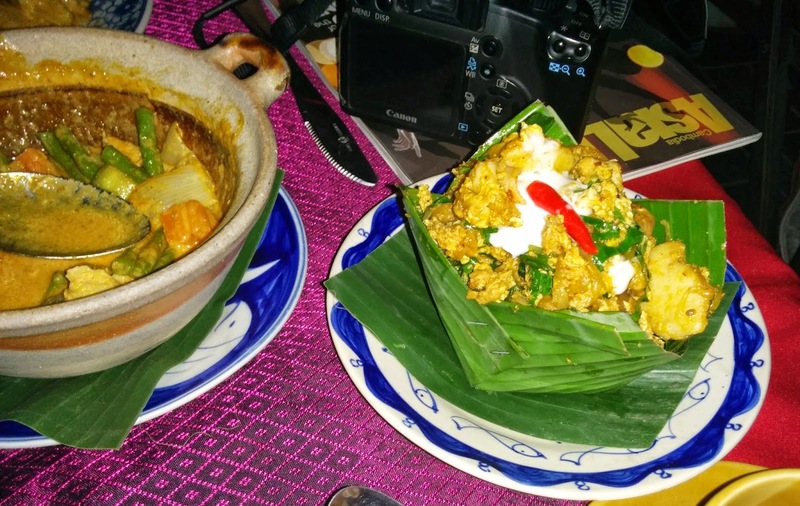 It has sprung up and grown purely because of Angkor-related tourism, which means that the food available at most joints in Siem Reap has been tweaked to suit touristy (mostly Western) tastes. Authenticity be damned, tasty food is what matters! But it took us a day and a half in Siem Reap to finally try some Khmer food - and we actually liked it! The Husband gobbled down his Khmer Fish Amok so fast that a Japanese girl at the next table asked, astounded, "That tasty, huh?" My Khmer Chicken Curry, chicken and vegetables drowned in coconut milk, was the best thing I'd eaten in days. After that, we were firm converts. The only problem was that we didn't feel like eating much during the day. The incredible heat of Cambodia made us thirsty, but never hungry. Every day, it was only after the sun went down that we became aware of our stomachs. And then we couldn't get enough of rice and curry. Food prices in Siem Reap depend on where you're eating. At the roadside stalls inside the Angkor Park, a single dish is around $4, which is pretty steep considering the general price levels. 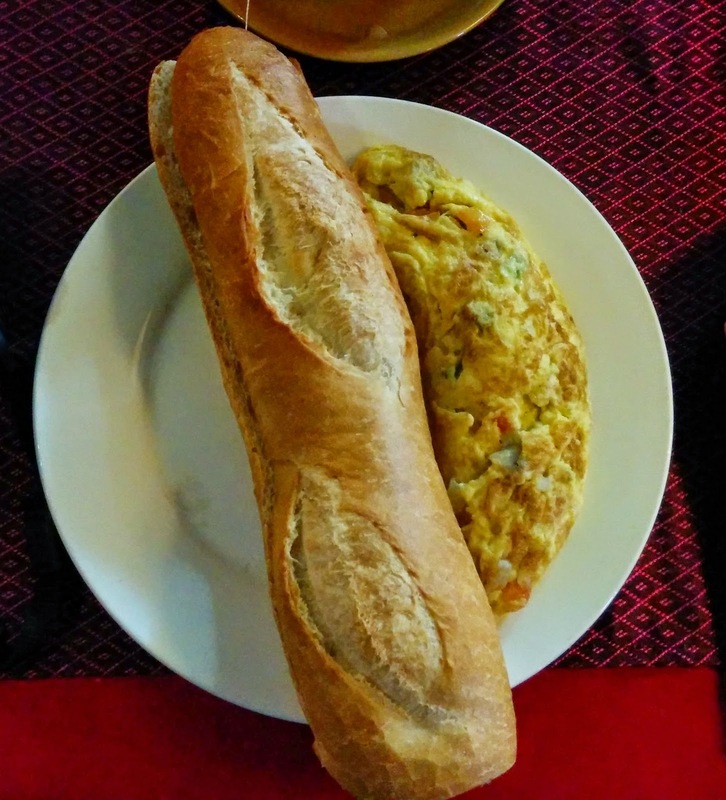 But in Siem Reap town, you can find food to suit whatever budget you have. 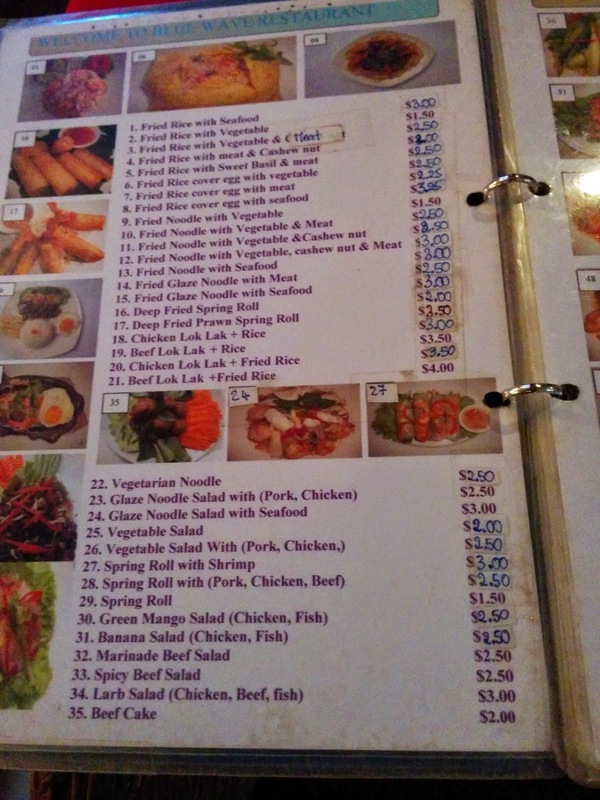 Below is a page from the menu of the restaurant we ate at on our first night there. Strangely enough, drinks are amazingly cheap. "Happy Hours" in Siem Reap last all the way till 10 PM. Though the menus mention drinks at $1 and above, it's perfectly possible to get something for half that; many restaurants have one-plus-one offers which work out super-cheap. The only exception was Coke - nobody was willing to go below $1 for a can. We also spotted a handful of Indian restaurants - I have no idea who they cater to in Cambodia. 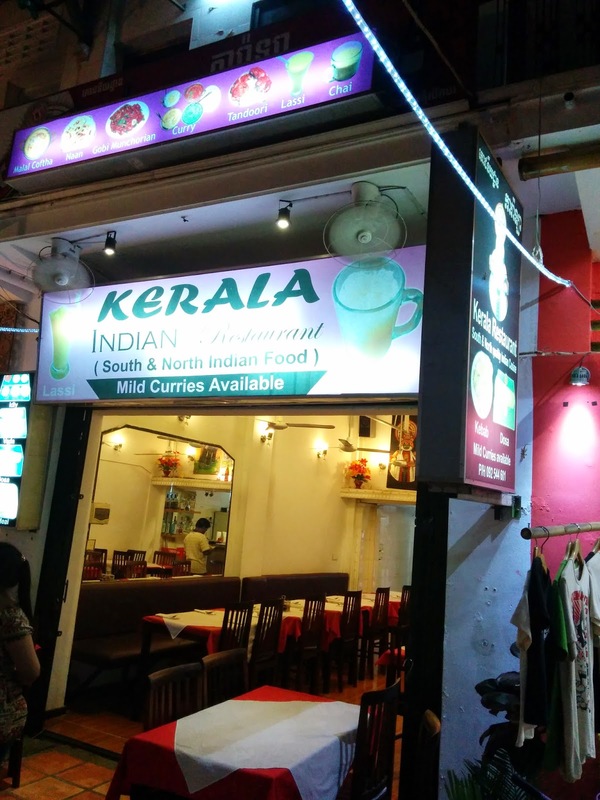 Below is the board of the Kerala restaurant in Pub Street, which was Kerala only in name. It served dishes from across India, but didn't have a single soul inside when we saw it. Since you've survived Thailand, Siem Reap should be a breeze. :) Veg options are limited, of course - but at least most restaurants have them.